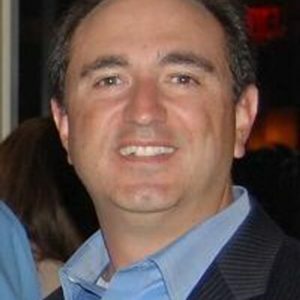 David Durazzano is IBM Senior Product Manager for LotusLive Services. David joined Lotus in 1994 as a technical support analyst, he then went on to co-founded a Lotus Business Partner consulting company and later started an on-line software/services company. 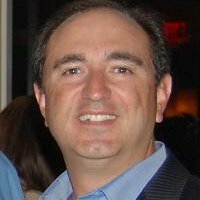 David rejoined IBM in 1999 where he has held several technical leadership roles on the Lotus Notes/Domino, Workplace & Greenhouse teams before shifting his focus in 2007 to contribute to the IBM on-line collaborative SaaS business LotusLive. Seems that many of the features of IBM Connections are being brought into Engage – is the eventual goal to have full feature parity? Blogs/Wikis etc? Which LotusLive features are affected? Has LL Connections been upgraded in the same way? Whats the difference between Engage and Connections? When is LL Symphony Meetings going to be included? $8.5bn – is this a fair price? Is it a consumer or a corporate play? How does the Skype acquisition fit in with Phone 7 and Nokia? Is the merger of consumer and corporate IT inevitable? 45: Utility Server for LotusLive Notes – at least Stuart got that name right! Scott Souder (twitter) is a Senior Product Manager at IBM, presently the Program Director and Offering Manager for IBM’s new “Software as a Service” product, “LotusLive Notes.” Scott also shares product management responsibilities for “Alloy by IBM and SAP. 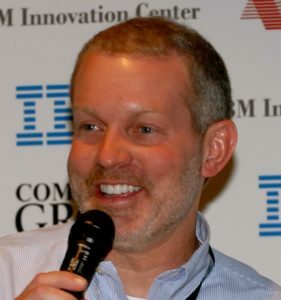 Scott began his career at Lotus in 1989 as part of the original team focused on developing and selling the Lotus Notes product. Who’s the offering for? Why limit it to LotusLive Notes customers? Is this ‘private cloud’or ‘shared cloud’? Does it matter? How is it licensed – PVUs? How is this calculated for Amazon etc? A customer is likely to already have Domino Enterprise, CEO or Domino Collaboration Express licensing. How do they transition to this offering? How much control does a customer have over their apps? ACLs, signing, port access etc? As new releases of Domino (e.g. 8.5.3) ship, when will the service get upgraded? What if the app needs to stay on an older version? How does the customer test their app prior to upgrade? Should IBM be expected to support new browsers at browser release time? Darren Don’t buy a door smaller than the hole it is supposed to cover…now the real tip – if you’re rolling out Win7 or Win 2008 Service Pack 1 be sure to check out my blog to avoid making all your servers unbootable. Seen a couple of these this week, hence the post. Scott Consultants are worth every penny – its amazing how having an external person in to chair a workshop can get internal teams talking. Buy Michael Sampson’s ‘User Adoption Strategies‘ book – it is even better second time around. Look out for new one in 2011 too, promises to be excellent. Episode 21, recorded Friday 8th October 2010, discussing the IBM’s reputation for social software, contacting IBM employees via Sametime and more..
Martha Hoyt is a Senior Product Manager for LotusLive. 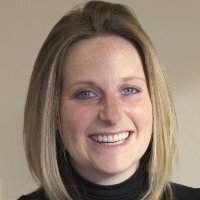 She has recently turned her role slightly to focus on developing the LotusLive partner platform, working with the early and strategic partners. She started her IBM career in Lotus working for a number of years in the Lotus Notes an Domino world both from a product management and development perspective. Richard Bye (LotusLive Profile, LinkedIn Profile, LotusLive Home Page, IBM Homepage) is the Business Unit Executive for the LotusLive portfolio in Northern Europe. Richard has worked in the hosted messaging and collaboration space for nearly 13 years, having been part of the launch team of TTYL for Telenor in Norway, started the Hosted Messaging business for Critical Path in EMEA, and was part of the senior management team leading Outblaze Limited of Hong Kong to acquisition by IBM in April 2009. What are the features of LotusLive Engage/Connections Communities – are they equivalent to Connections Communities? What use cases are expected for the communities feature? What about Wikis and Blogs? IBM seems to be working hard to bring other vendors/services into LotusLive – have there been any additions to the list? 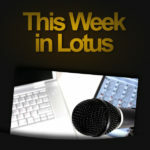 Lotuslive Meetings is a key part of the suite – what changes have taken place there? What do you expect customers to make of these changes? This was only released a couple of months ago, so what’s changed? Collaborative editing in the cloud – What’s the latest status? ‘Interesting’ announcement of abstracts process – could IBM have done this better? Any sessions submitted so far? Designer client on Mac? Essential or nice to have? Darren: I love my headset – Logitech ClearChat Pro USB – here’s the newer Logitech H530 USB Headset on Amazon UK and Amazon US (affiliate links). Stuart: TripIt Pro (I know, I’ve previously recommended TripIt standard…) Pro version has recently been updated, to now include ability to track flight refunds if delayed etc, and most importantly, includes free membership to Hertz Gold and Regus Gold. VIP car rental and access to 1,100 business lounges worldwide. ($660 value) Costs $49/year. Also includes aggregated tracking of airmiles, loyalty programs etc.